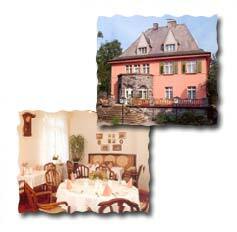 The Landhotel "Villa am Gutsweg" is a small exempt private company. It offers to you a styleful and comfortable atmosphere. In our daily opened restaurant we serve well civil kitchen to you. For festivenesses as well as seminars a idyllic terrace and separate premises are available. Parking lots are present on the internal area.